From FOTS Japan. 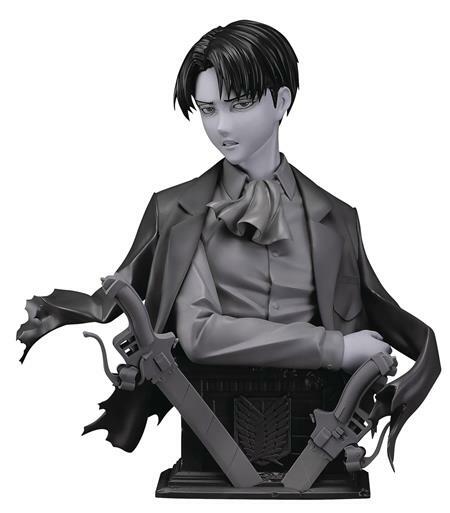 From the popular anime series Attack on Titan comes a 1/3th scale bust of Levi! This bust captures all of the detail in Levi's hair and clothing in amazing detail! He is perched atop a sculpted pedestal base that features the Survey Corps logo and his Omni-Directional Mobility Gear! Levi stands about 10-inch tall and comes in window box packaging. Collect both Color and Black and white versions of the bust!